Florida or Bust, Days 3 and 4. 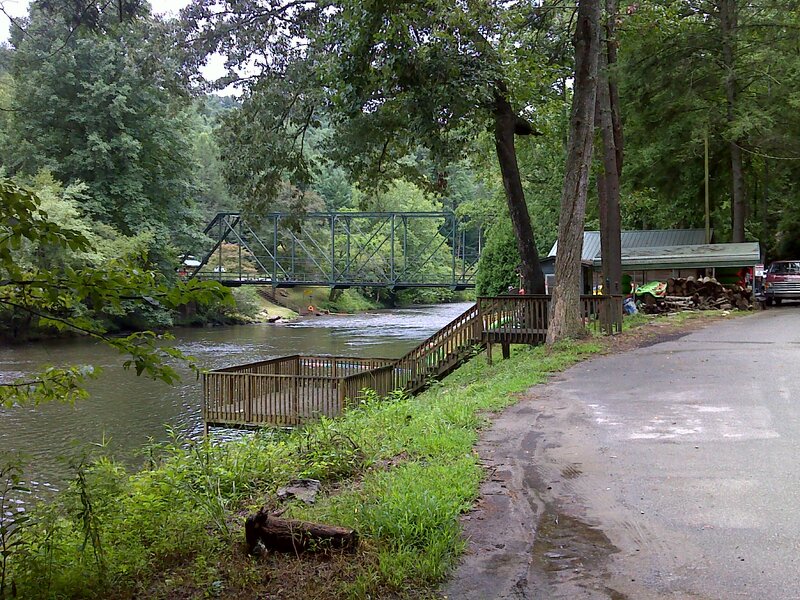 The Benton MacKaye Trail crosses the Toccoa River three times. 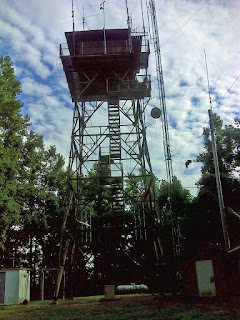 As part of my route to Florida, which only uses the about 65 miles of the BMT, I cross it twice. 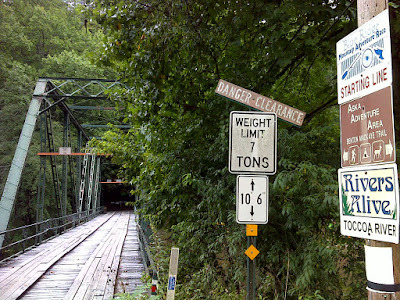 The first time was at the 'Swinging Bridge' - a suspension footbridge - covered in the Day One report. 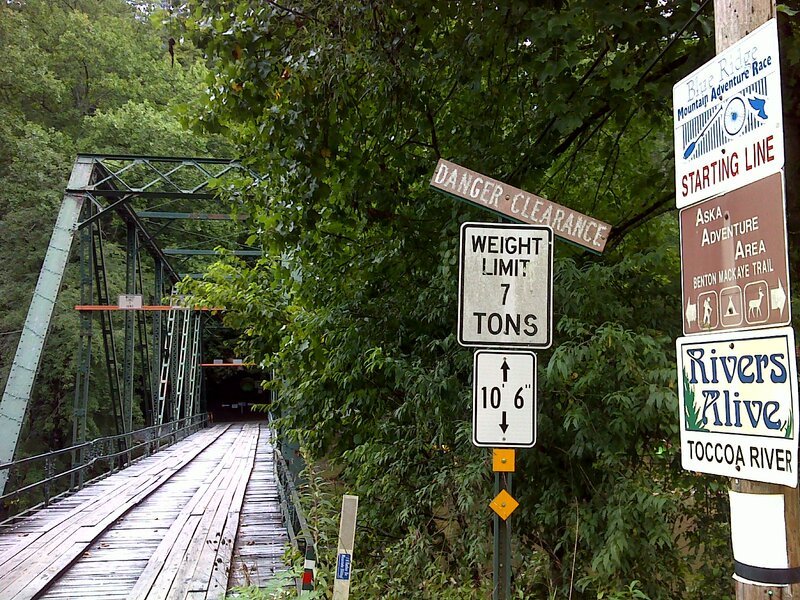 The second is at an old one-lane wood-decked iron truss bridge called the Shallowford Bridge. To get there, of course, the trail finds as much wilderness as it can, and so it has to go up over the tops of mountains and along ridges. 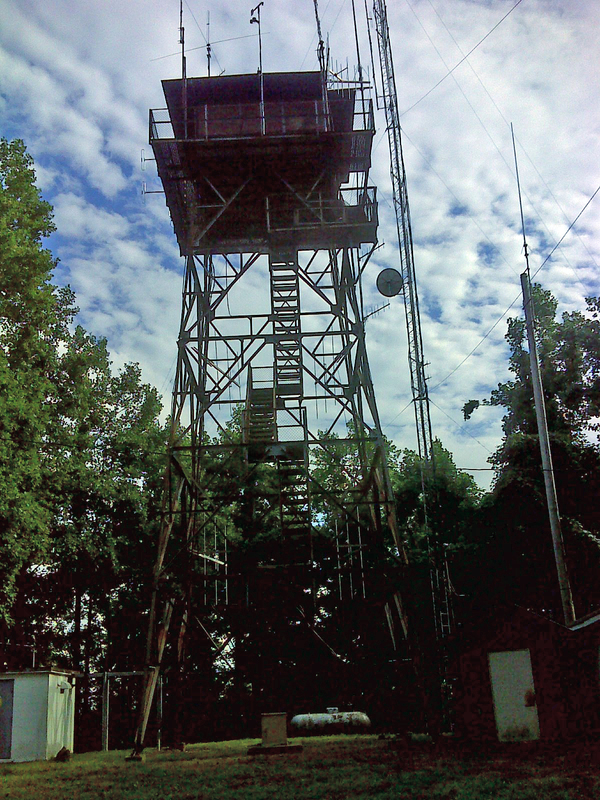 It is remote and pretty country for the most part, through on top of Brawley Mountain there's an old lookout tower now serving as an antenna farm, and the access road provided me with an alternative route up from GA 60. Coming down from Brawley Mtn. to the Toccoa there's a net elevation change of 1200 feet, and to add to the fun, there's a second summit with a 400 foot climb. But then the trail levels off and follows the river for a mile or so. 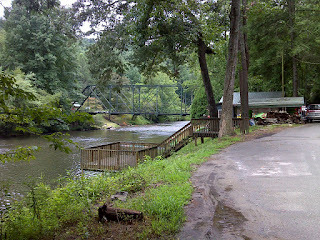 This section of the Toccoa River is known for its tubing adventures. 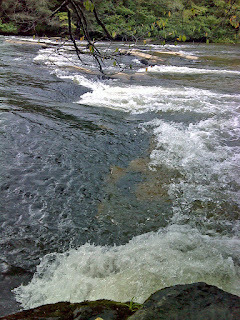 Several companies cluster at the Shallowford Bridge, take their clients upriver about three miles to a public canoe launch, and let them drift the rapids. It's a noisy restless river, but it was a rainy morning on the day I passed through, so activity was nil. Just the sights and sounds of nature. That's the way I like it. The encounter with the river ended where the road walk took a turn up Stanley Creek. 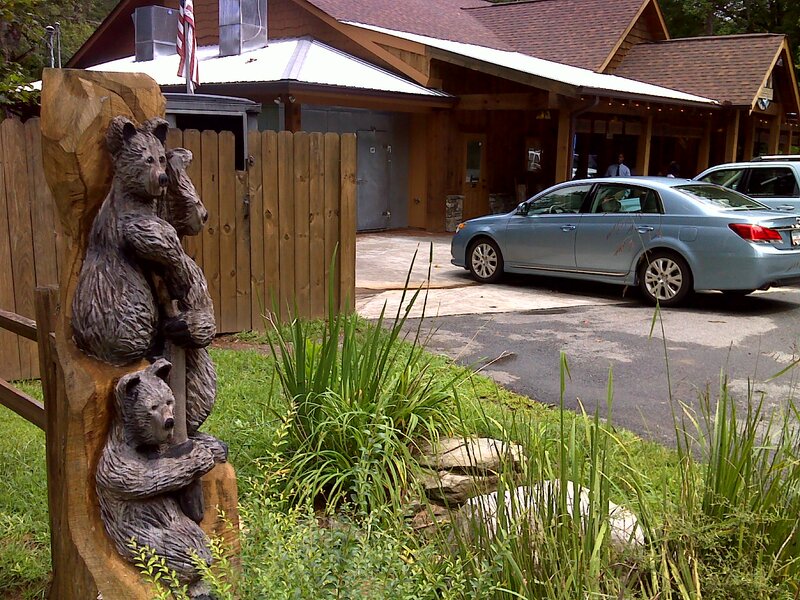 At the intersection, set right on the river, is the Toccoa River Restaurant. 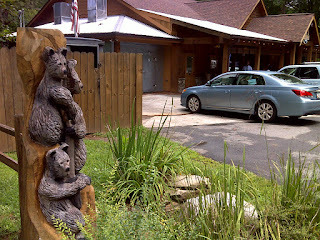 I didn't go in, but appreciated the neat, inviting street-side presence, which included this tree stump carving. Below is a map of the route, done in three out-and back sections.